Please join us for the Harry Bridges Center for Labor Studies annual awards banquet as we honor student and faculty achievements and raise funds for labor studies at the University of Washington. DUE TO VENUE CAPACITY, REGISTRATION FOR THE ANNUAL AWARDS BANQUET IS NOW CLOSED. 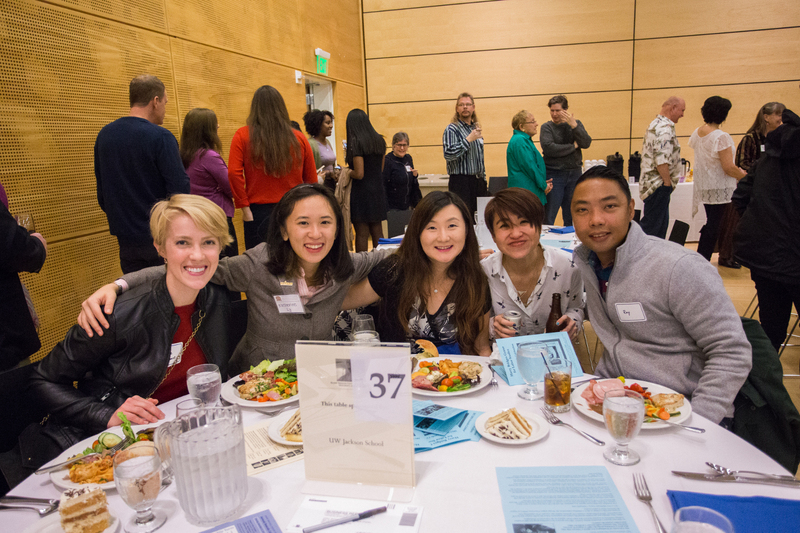 IF YOU ARE A TABLE SPONSOR PROVIDING GUEST NAMES, OR HAVE ANY OTHER QUESTIONS, PLEASE E-MAIL HBCLS@UW.EDU, OR CALL 206-543-7946. Support Labor Studies - Sponsor the Banquet! $500—Table Sponsor: Reserves a table seating 8. $1000—Event Sponsor: Reserves a table seating 8; also receive special recognition in the event program. All donations are tax-deductible. Register your sponsorship here. A map of campus, with the HUB indicated, is available by clicking here. Parking is free at the University of Washington on Sundays. Questions? Contact the Bridges Center at (206) 543-7946, or e-mail hbcls@uw.edu .